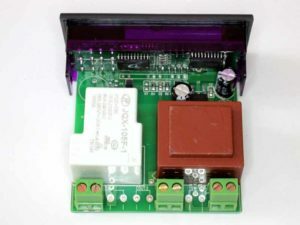 This is a review of an inexpensive MH1230A Chinese bang-bang thermostat that was purchased on eBay for around A$15 complete with thermistor sensor and postage. Above is the front view of the thermostat. There are many thermostats on the market with similar front panels, but they differ in internals and most importantly, performance and quality. 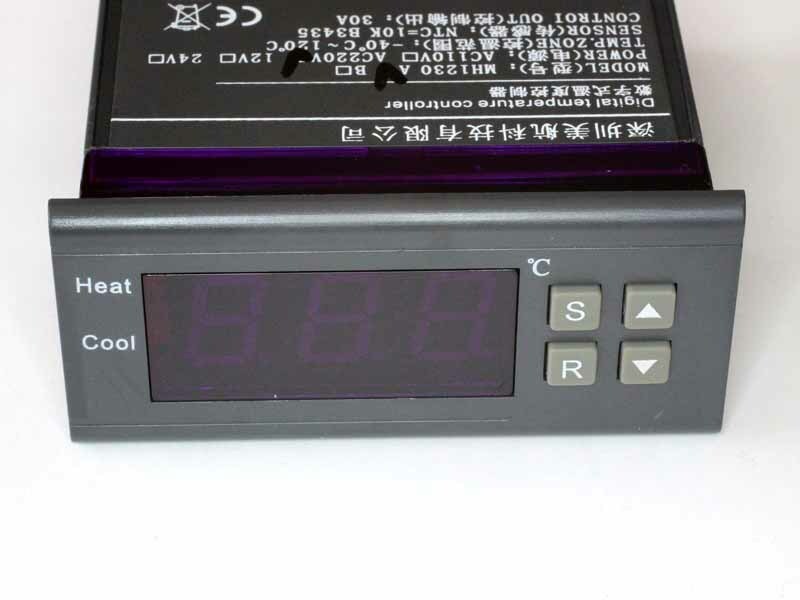 Above, the rating label is clear and informational, and it does give the sensor parameters. Above, a view of the interior. 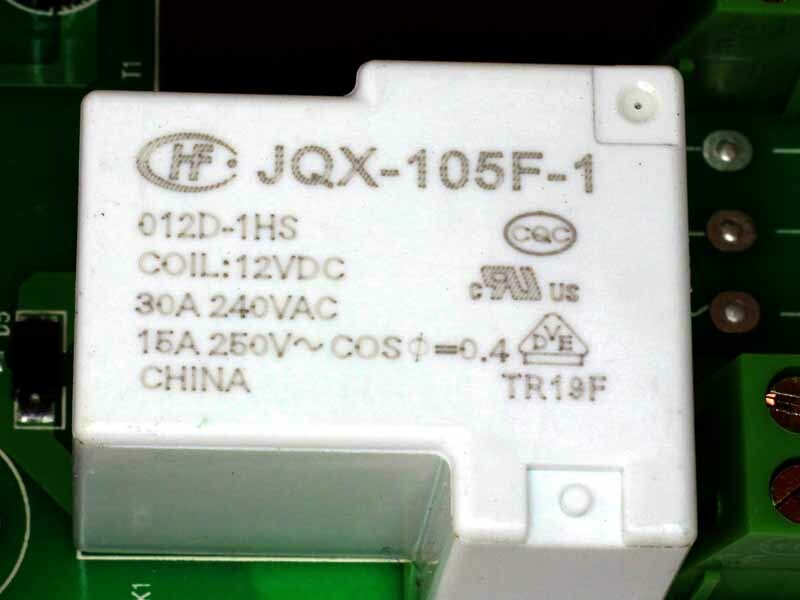 To the lower right is a conventional iron power transformer, this does not use a switched mode AC power supply to power the electronics. A risk with switched mode supplies is inadequate suppression of radio frequency emissions. 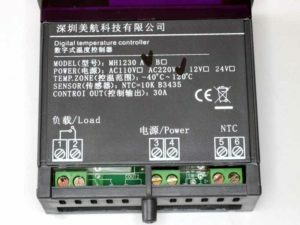 It is difficult finding these things with conventional power supplies, most 220VAC thermostats have switched mode power supplies. Devices with conventional power supplies tend to weigh over 200g, whereas SM ones weigh closer to 140g, so weight if given can be a hint. 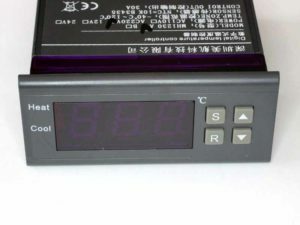 The sensor terminals are isolated from the mains terminals, but voltage withstand was not tested. The relay is a JQF-105F-1 rated for 30A AC (277V) or DC (28V). It is rated at 30A for resistive loads (AC-1), but it is doubtful that AC-3 motor loads of more than 20-30% of that should be used. 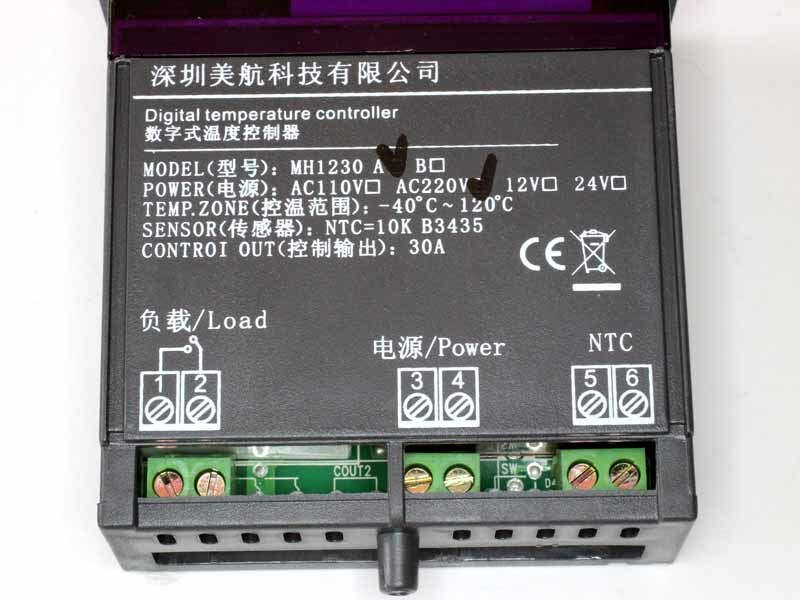 It works well and there is adequate isolation between the primary power circuit, the sensor, and the output terminals.